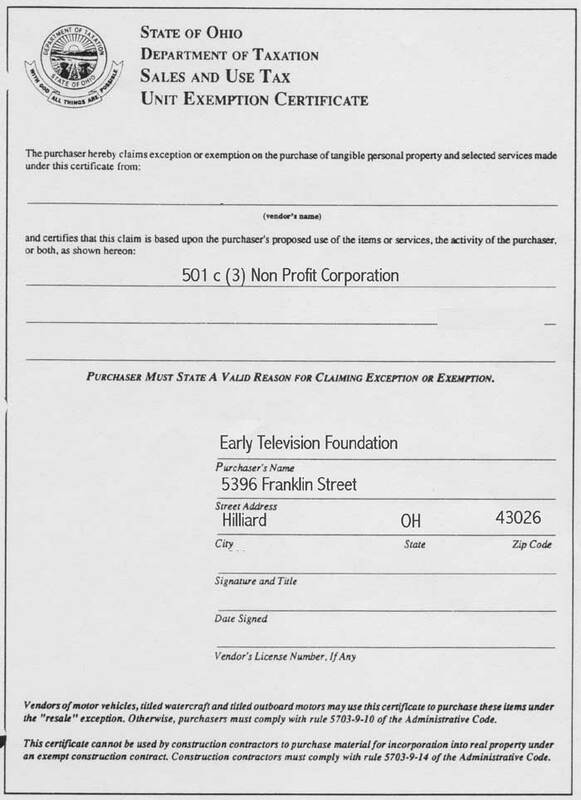 The Early Television Foundation was founded by Steve McVoy. As a teenager he worked in a television repair shop after school, and sometimes worked on 1940's sets such as the RCA 630. In 1999 he sold his cable television business, was looking for something to do with his time, and decided to collect early television receivers. Here is a summary of Steve's cable TV history. At that time he was unaware that television existed before World War Two. However, shortly after deciding on his new hobby, a RCA TRK-12 appeared on Ebay. He bought it and restored it. Over the next year he met many of the collectors in the United States. Most were very willing to show him their collections, but their sets were in their basements or attics where they were difficult to see. As his collection grew, he began to run out of space to display it. He then came up with the idea of starting a museum; so that he would have a place to put his growing collection, and so that the public could easily view the collection. The funding for the Foundation and Museum comes primarily from four sources: donations, proceeds from our annual convention, sale of duplicate items donated to the museum, and contributions from the McVoy family. We are a 501 (c) (3) non profit private foundation, so contributions to the foundation may be tax deductible. In June of 2017 the building, which had been owned by Steve McVoy, was donated to the foundation in order to make sure that the musuem would continue to operate into the future. The museum is a non-profit foundation, and depends on contributions for its funding. Please consider becoming a Member of the Museum. The foundation hopes to expand its collection of early television equipment. If you have receivers or camera equipment from the mechanical, prewar, or immediate postwar eras that you are interested in selling, please contact us. We will, of course, accept donations of equipment. Since we are a not for profit corporation, donations may qualify for federal or state tax deductions. Consider making provisions in your will to donate your collection to the foundation.